Are there any episodes in the movie or DIY casting video that deeply impress you? It’s probably the scene, music, figure or even the conversations in the video that attract you so much. If it’s feasible, how about adding the voice of your own to those videos? When you merged your voice to the video, you will find video dub quite cool and interesting. It is just like you are the playing the role in film. For those people who have no ideas about how to do this job, the following parts will offer your some reliable solutions. First of all, you need to record your voice and save it as the audio file. This task can be finely completed by using audio recording programs. Presently, there’s a free online audio recording application called Free Online Audio Recorder which performs well in recording the audio track from system sound, microphone and both. 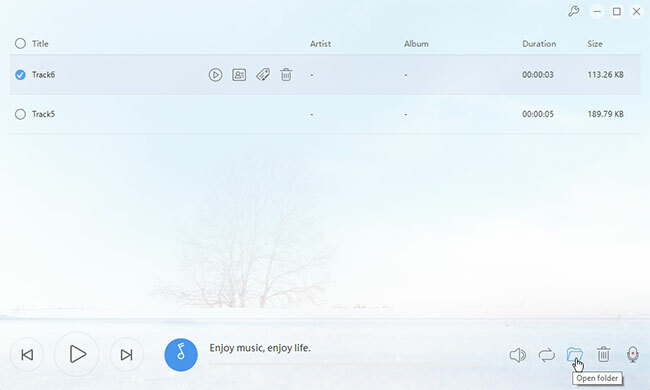 The recorded audio will be saved in the format of MP3 that is compatible with most of the media players. Before dubbing video, you need to follow the steps to record your voice in advance. Go to the site of Free Online Audio Recorder. Press the audio icon and then choose “Microphone” option. 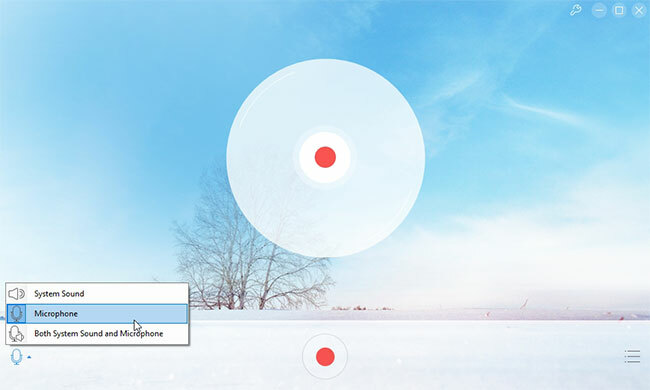 Click Record button to start recording your voice. The Launch component is totally safe that won’t harm your computer. Also, it’s quite small. To ensure the fine audio quality, you’d better keep environment tranquil during recording. When you have finished recording, you can merge the recorded audio file and target video to finish dubbing video. As to the task of video merging, it’s recommended to use professional video editing programs. You may check the parts below where you can learn a powerful video editor. ApowerEdit is a professional media file editing program that empowers users to edit local media files based on their preferences. It supports most of the media file formats of image, music, and video. 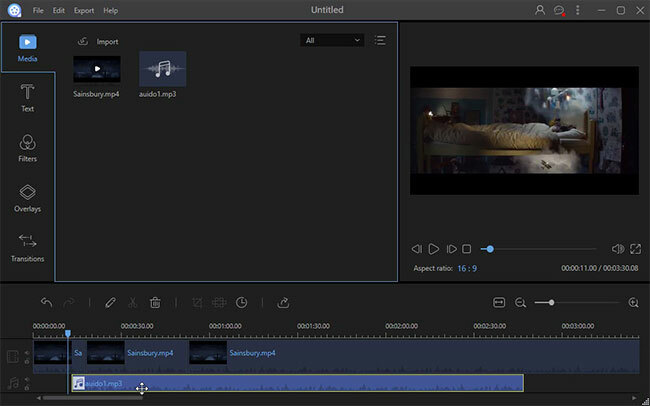 With this tool, you can cut video clips, mute original sound and insert sound tracks. In addition, this program also comes with some special editing options that enable you to make the video more stylish and personalized. Those editing options include text, layout, filter and transition. To learn how to dub video with this tool, check the steps below. Click the button below to download and install ApowerEdit to your computer. Launch the program and then add recorded audio file and video clip that you intend to dub. Right click the video file and then choose “Add to Project”. Click “Split” button to select certain episode of the video. Double click the episode and then go to “Audio” tab in pop-up dialogue. Drag the Volume to zero to mute the episode and then click “OK” button to confirm changes. Drag the recorded audio file to sound track and move to the position of muted section. Click “Export” > “Export to video” to generate your work. Absolutely, there’re some other applications can also do this job. Keep reading to learn more. 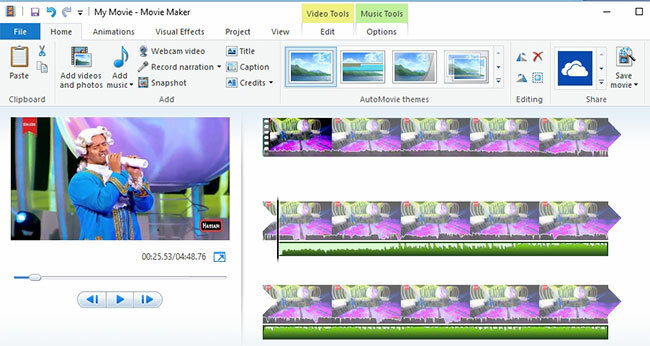 It’s also feasible to dub video with Windows Movie Maker. This application is developed by Microsoft aiming to help users to perform simple editing jobs for media files. Upon the panel of this tool, there’re multiple editing options available, such as trimming, cropping, volume adjusting, etc. Since it is designed with an intuitive interface, you won’t have any hassles to operate this application. The basic operations are as below. Download and install Windows Movie Maker from the official site of Microsoft. Add video into the application. Go to “Edit” tab and then click “Split” button to select target section. Click “Video volume” and then drag the volume to zero. Drag recorded the audio file and then move to the desired position. Go to “File” > “Save movie” > “Recommended for this project” to generate the video. Dubbing video would be an easy job by using those applications suggested above. You may choose one that you like best.